A team from Cleary Gottlieb’s London office has taken part in the grueling Arctic Challenge to raise funds for the National Literacy Trust. 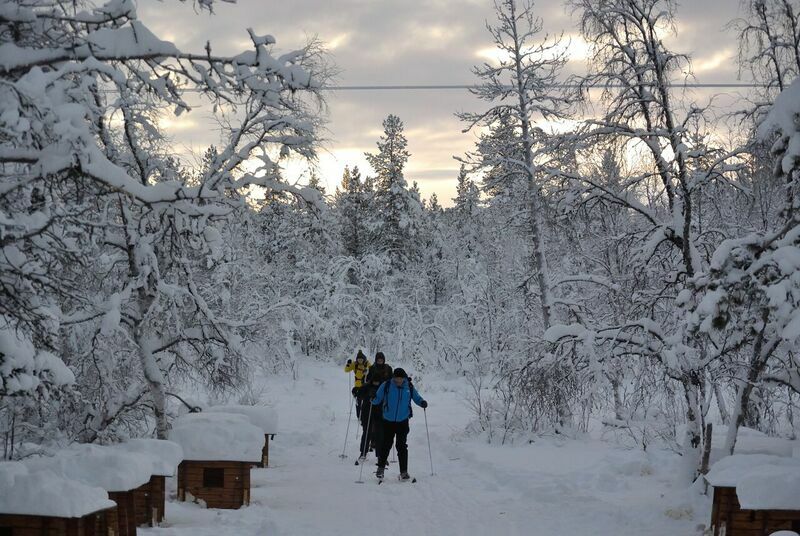 Taking place in the Arctic Circle, the Arctic Challenge is a four-day event featuring several team challenges, including a 35km dog-sled race, an ice-fishing competition, orienteering and cross-country skiing using historic equipment on a 25km route through the wilderness. Participants coped with only a couple of hours of daylight and temperatures as low as -35 degrees Celsius. 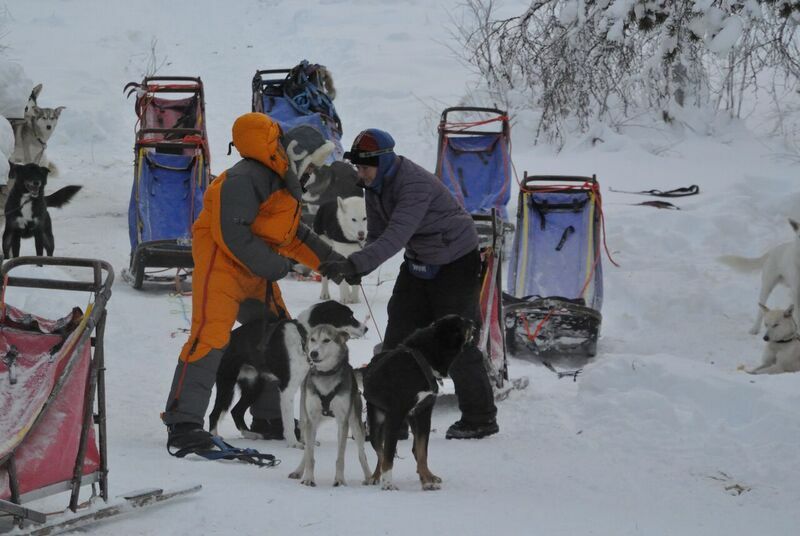 “Being part of the Arctic Challenge was a wonderful, unique and utterly grueling experience. I’d like to thank everyone who made it possible for us, especially Suzie Curran of the National Literacy Trust and my fellow team-mates, for their fantastic humor, teamwork and extraordinary endurance in extreme conditions. I’m glad to say we all returned safe and (mainly) sound after an adventure of a lifetime in aid of an exceptionally good cause. 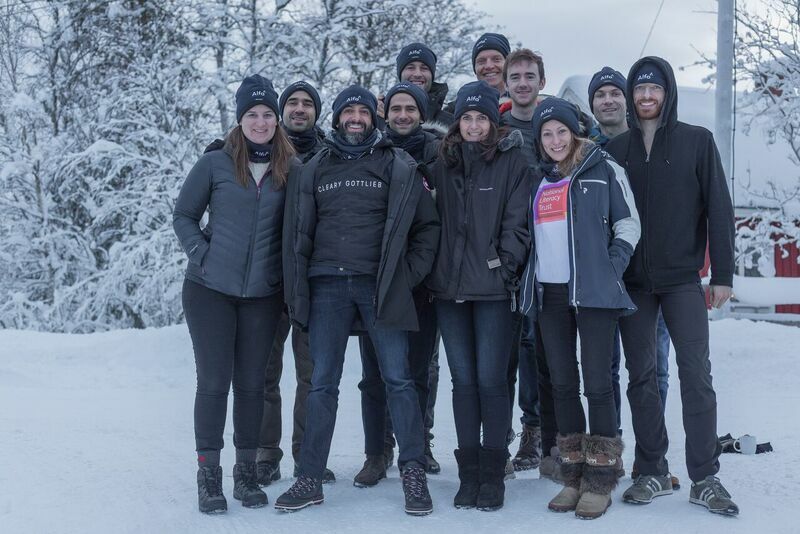 The Cleary team included Chloe Barrowman, Allanah Cordingley, Matthew Fisher, Matthew Hamilton-Foyn, James Healy, Andrew Hurwitz, Raj Panasar, Mike Preston, Lanto Sheridan and Marina Zarubin. Roger Barb, a managing director in the investment banking division of Citi, and David Wait, Centre Manager at Serpentine Green, also joined the Cleary team. The National Literacy Trust works in disadvantaged communities in the UK to improve literacy skills and life chances. The money raised will give more children the literacy skills to succeed in life.